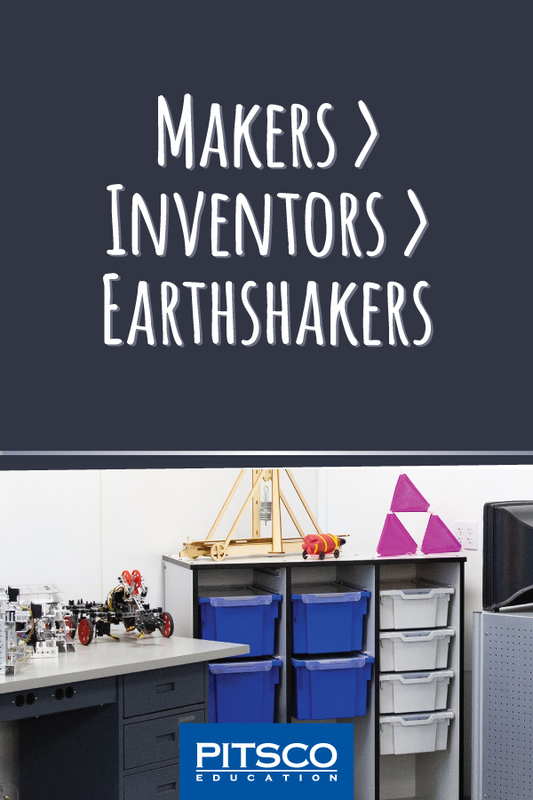 We have maker projects for all grade levels (making is for all ages!) and themes, like aerospace and sustainable energy, just to name a few. All maker projects (43 to be exact) include the materials your students need to complete the activity as well as handy storage! Yes, organization is key in a makerspace. Every project also has FREE online resources such as essential questions and career connections so you can jump right into teaching with talking points in hand. 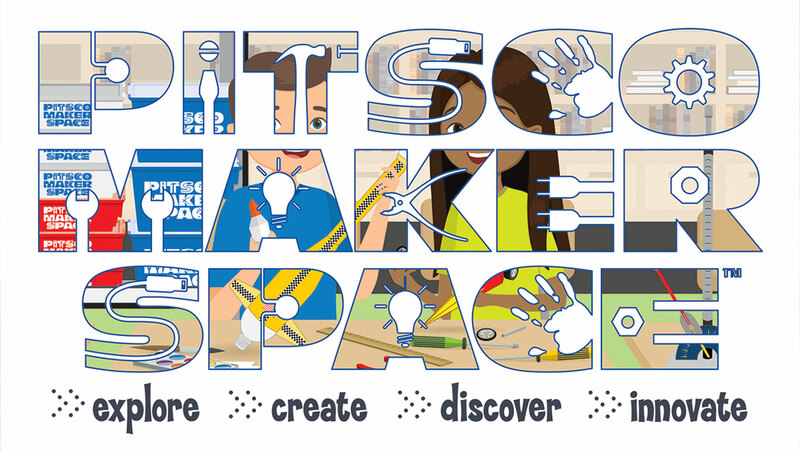 For anyone looking for a large-scale makerspace implementation, the Maker Space Packages were created for just that! These packages come in elementary-, middle-, and high school-level offerings and include maker projects that coincide with the appropriate grades. In the catalog, all maker projects and packages are color coded by grade level to guide your decision-making. If you do need assistance with building your makerspace, we’re here to help! Take your makerspace to a new level by adding robotics and coding solutions. Educators worldwide have witnessed firsthand the benefits of adding computer science concepts to a hands-on learning environment – it works! Outfit your makerspace with a continuum of coding products that span from elementary to high school levels, and include screen-free programming as well as visual and text-based programming – there are lots of options. Be sure to check out KUBO, Microduino, Fable, and Arduino product offerings in the catalog or online. Robotics and coding many times work hand in hand, even more so in a makerspace. Adding TETRIX® MAX and PRIME Getting Started Packages, along with UBTECH’s UKITs as well as Rokenbok sets, all of which can create a continuum of robotics from early elementary to high school levels, complement a makerspace, and encourage teamwork and creativity of a different altitude. 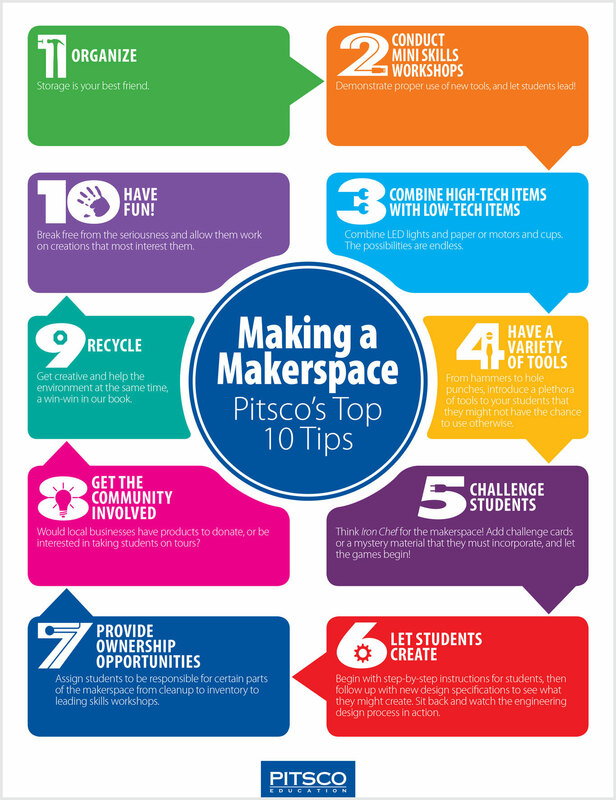 Still looking for ideas and encouragement to get started creating a makerspace? Use our top 10 tips and add your own spin to them. And if you’re seeking more inspiration, be sure to follow our Hands On Makerspace board on Pinterest. After all, we’re all inventors, right? Whether it’s hand-on STEM, coding, or robotics that you’d like to add to your makerspace, you can find it in our Maker Space catalog. We can’t wait for you to experience it. And we’d love to see the inventions of our future workforce, so please don’t forget to share in the comments.